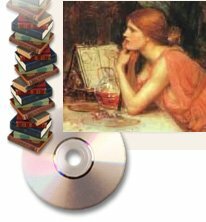 The Magick and Mystery CD-ROM 8.0 is a comprehensive digital library of the esoteric, the mysterious and occult. The content of the disk is up to date: it was mastered in April, 2009. For a list of what is on the disk, refer to What's on the Magick and Mystery CD-ROM 8.0?. 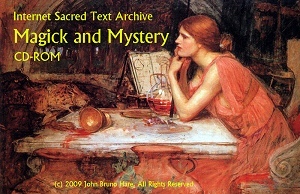 The Magick and Mystery CD-ROM 8.0 includes the complete text of hundreds of books on the esoteric, the occult, and ancient mysteries. Topics include: Alchemy, Astrology, Atlantis, Biblical Criticism, Earth Mysteries, Evil, Charles Fort, Freemasonry, Gothic, Grimoires, I Ching, Kabbalah, Legendary Creatures, New Thought, Neopaganism, Nostradamus, Parapsychology, Prophecy, Sacred Sexuality, Shamanism, Conspiracies, Symbolism, Swedenborg, Tantra, Tarot, Thelema, Theosophy, UFOs and Yoga, and much more. If you are on a budget or simply want the best resource ever for the study of the mysterious and the occult on one easy-to-use CD-ROM, the Magick and Mystery CD-ROM 8.0 is a must buy!